Batman, Caped Crusader, Dark Knight. Salute them all! 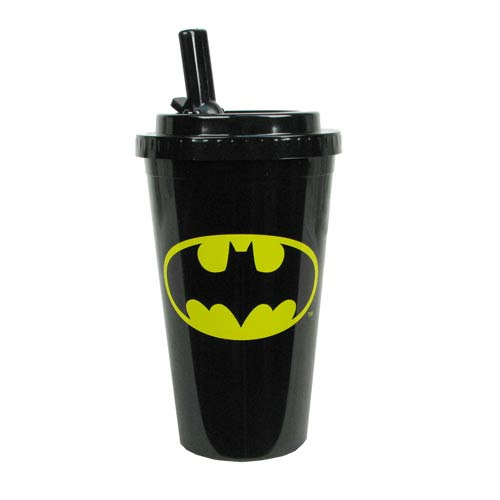 With a flip-straw top, this classic Batman Logo Plastic Flip-Straw Travel Cup holds 16 ounces and features that iconic Batman logo. Ages 14 and up!